Available now, this turntable chassis 5m body Torton display trailer was commissioned in 2009 and has a MGW of 3,200Kgs. Built in 2005 and still in great condition, this 7.75m trailer is in ready to use condition and is not to be missed. Available now, this 5,500Kgs rated Fiat Ducato was manufacture by ourselves in 2013 and hit the road in early 2014. 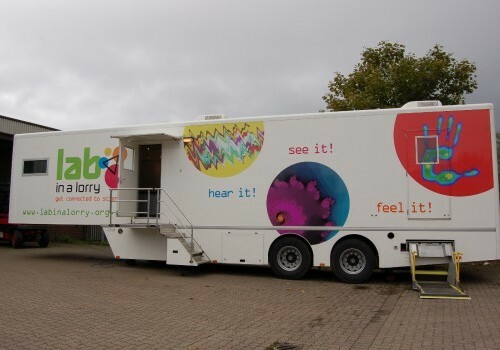 Available now, this 14,000 Kgs exhibition vehicle was manufactured by ourselves in 2011 and first used in early 2012. 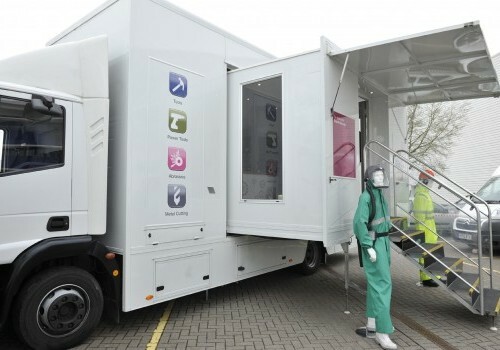 The unit is built on a Iveco Eurocargo vehicle and found in good condition. This double surgery dental clinic is a self drive unit and has two expandable pods. 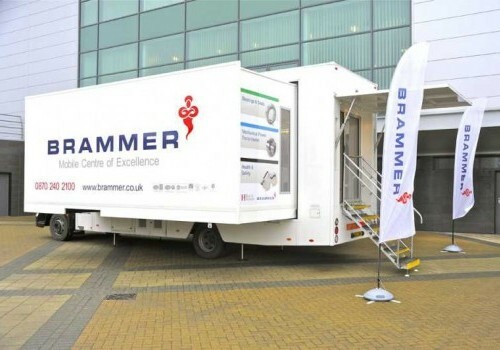 Recently refurbished to high standard, this 13.5m artic display trailer is the ideal trailer to get you and your brand noticed at roadshows and events. We ensure our used vehicles and second hand exhibition trailers for sale are fully checked and in great condition prior to customer collection. 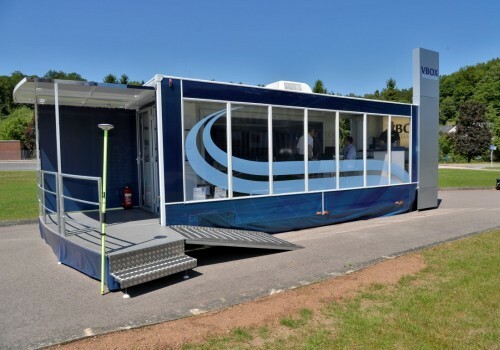 Available in a range of designs and models to suit a variety of industries, our stock includes used exhibition trailers, display trailers, motorised exhibition vehicles, clinics and more. 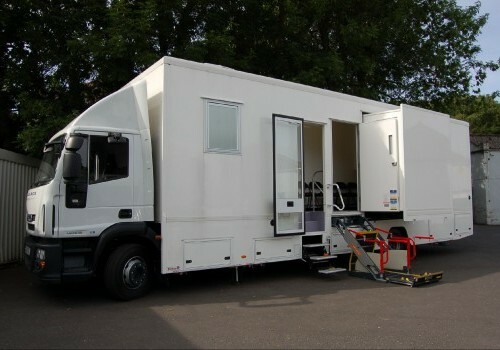 Trailers are photographed and displayed to suit the previous owner, but we work with you to redesign and tailor the trailers to suit your needs. 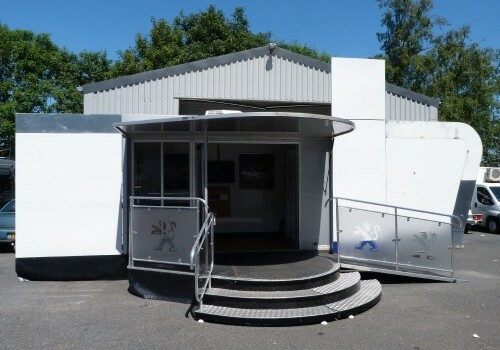 We often have used exhibition trailers for sale which are in high demand, so occasionally not all of our second hand trailers and vehicles will have made it to the website just yet. 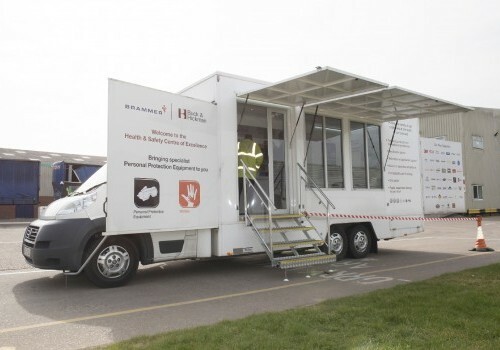 If you require more information on our mobile display vehicles or are interested in an exhibition vehicle or trailer, contact James who will talk you through your options. 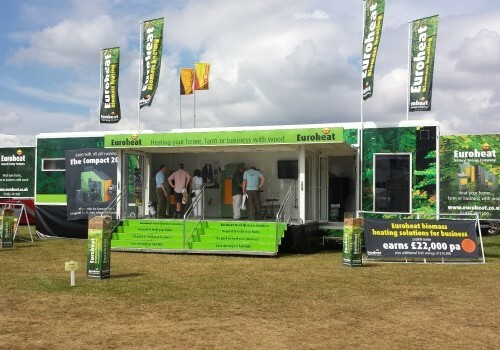 Alternatively, you can discover our range of new event trailers and vehicles here.